Nigeria Super Eagles Head Coach, Gernot Rohr has released the list of players invited to play in their last World Cup Qualifier against Algeria and a friendly match against Argentina. The 3 goalkeepers in the squad are Ikechukwu Ezenwa, Daniel Akpeyi and Francis Uzoho. Defenders on the list are William Ekong, Abdullahi Shehu, Tyronne Ebuehi, Leon Balogun, Uche Agbo, Chidozie Awaziem and Olaoluwa Aina. The midfield players include Mikel John Obi, Ogenyi Onazi, Wilfred Ndidi, Oghenekaro Etebo, John Ogu, Mikel Agu, Chidiebere and Nwakali. The attack is to be represented by Ahmed Musa, Kelechi Iheanacho, Moses Simon, Alex Iwobi, Odion Ighalo, Henry Onyekuru and Anthony Nwakaeme. On the standby list are Kenneth Omeruo and Russian born Brian Idowu. All the invited players are expected to arrive in a camp in Morocco next week Monday before the delegation flies to Constantine on November 9, The Nigeria Football Federation (NFF) disclosed. These games will likely provide debuts for Chidiebere Nwankali (forward) and Francis Uzoho (goalkeeper) in the main roster of the Super Eagles. 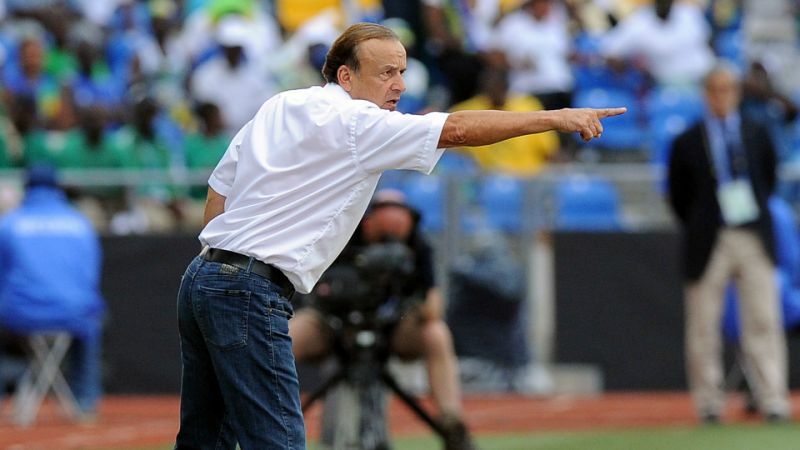 Gernot Rohr has included a lot of experienced players, although the loss of keeper Carl Ikeme is providing a nag as he had become a stalwart in the team. The most notable omission from the least is Victor Moses, who has been out injured for his club side, Chelsea for about 3 weeks with a hamstring problem. Turkey-based defender Elderson Echiejile and Feirense keeper Dele Alampasu. Alampasu has yet to play any games for his club this season, are also absent from the 25-man squad. The NFF added that the Super Eagles will fly to Krasnodar, Russia from Constantine on November 11 on a 45–seater chartered aircraft for the international friendly against Argentina, which will hold on November 14.